Gunnar Knapp, director of the University of Alaska Anchorage’s Institute of Social and Economic Research (ISER), teases former State Revenue Commissioner Pat Galvin with a pie chart reflecting crude oil prices projected by the state two years ago, on Thursday, September 17, 2015 at ISER. Current projections are reflected in the chart behind, and are significantly lower now than just two years ago. 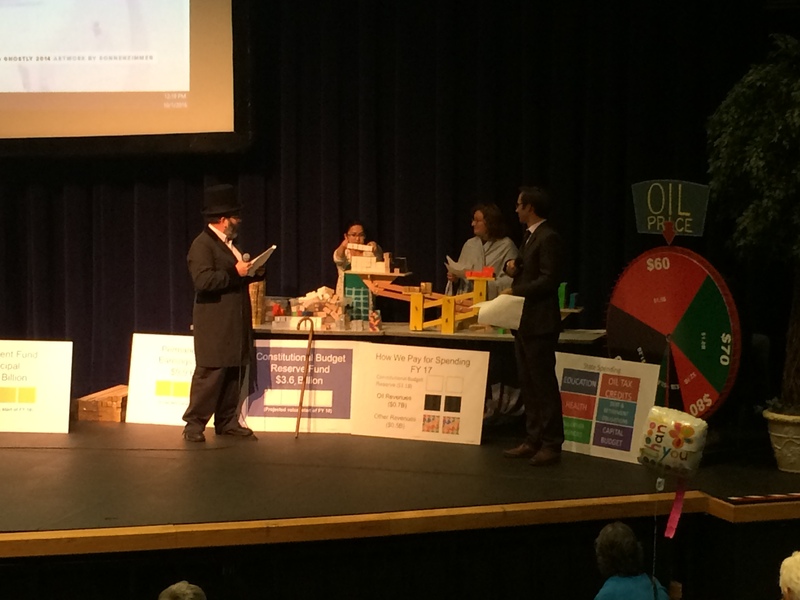 Galvin was participating in a test of a game that requires participants to take on the role of the state Legislature, having to balance the budget and get re-elected by the audience each round. 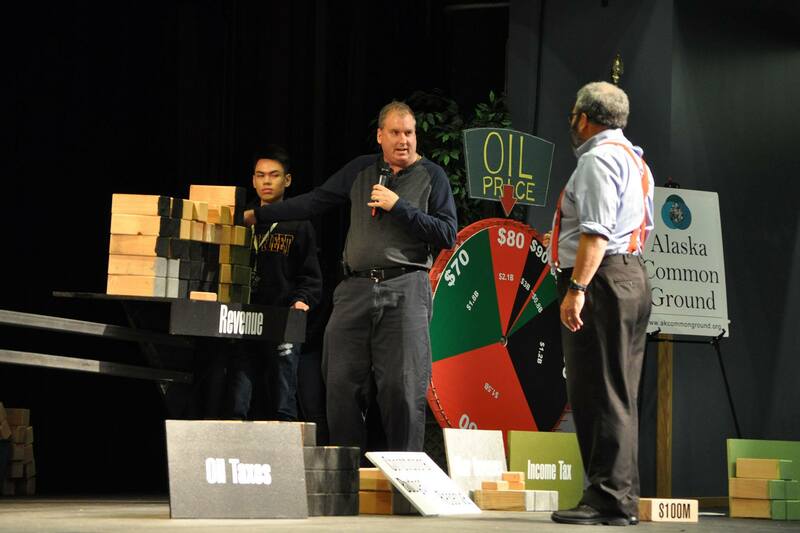 The wheel is spun at the beginning of each round, giving the “Legislature” varying amounts of revenue from oil. 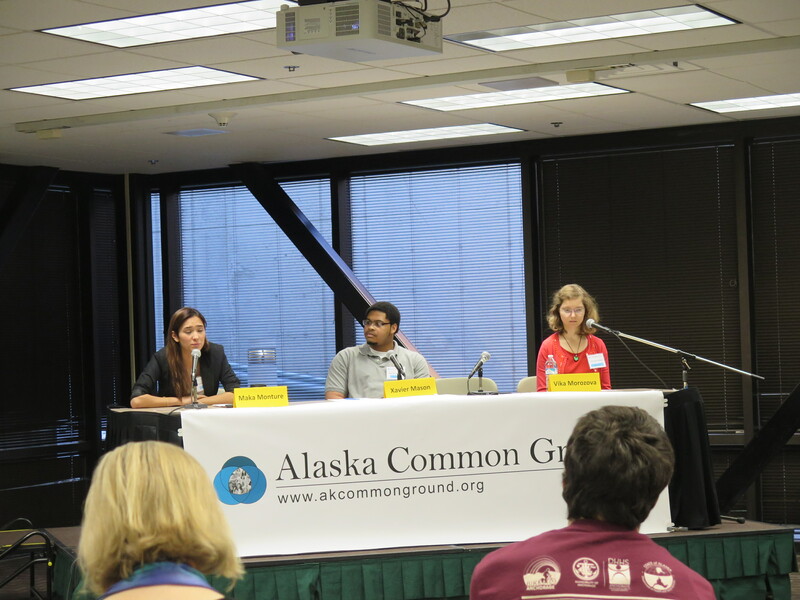 With possible economic calamity facing the state — and many Alaskans seemingly not grasping the threat — the brains at a university think tank and a home-shop craftsman are jazzing up the talk of taxes and cuts with a homemade game that will be unveiled Saturday during a forum about the state’s looming fiscal and economic crisis. 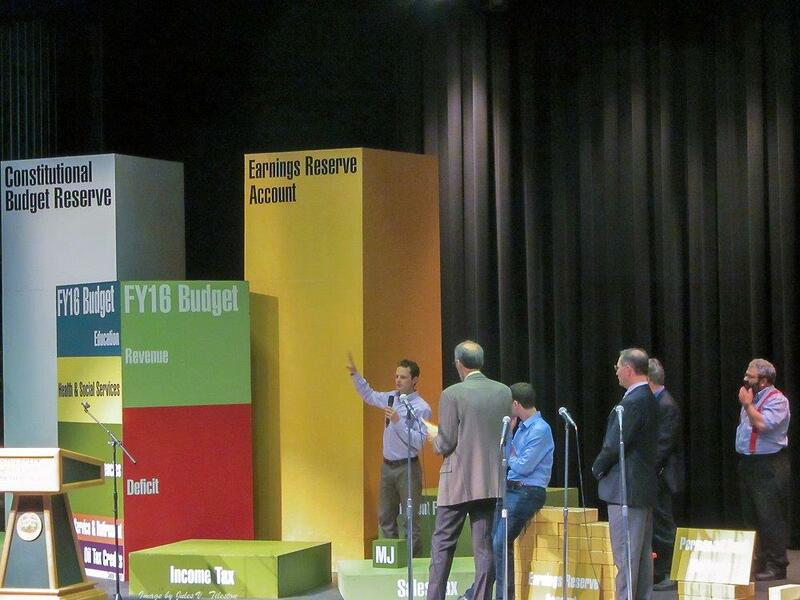 The audience interaction the game is meant to help people understand the depth of the state’s budget deficit and its rapid reduction in savings, organizers said. Thus the game, conceived of by Knapp, to give people the chance to balance costs and revenue using a giant scale and wooden blocks each representing $100 million. There’s a roulette wheel to spin as well, illustrating Alaska’s dicey dependence on oil revenue that rises and falls with the price of the global commodity. 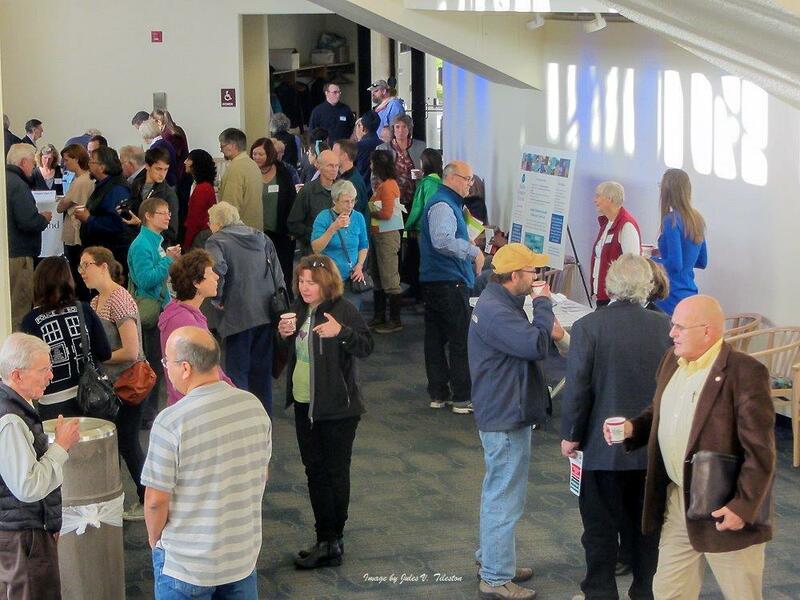 The free forum , from 9 a.m. to 4 p.m. at the Wendy Williamson Auditorium at UAA, will also feature some of the usual economic experts and state officials with their hands at the wheel. 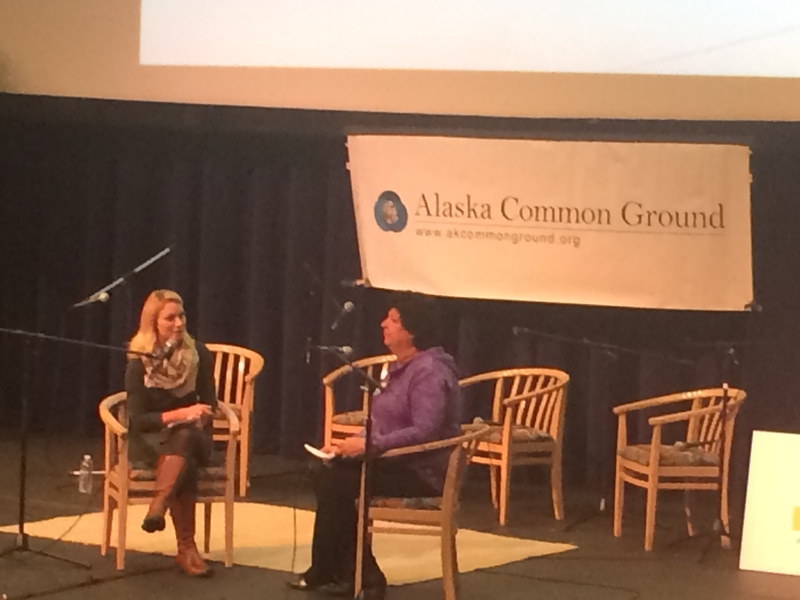 “The event is part reality show and part public broadcasting,” with a mix of fun and serious people talking, said Cliff Groh, chairman of Alaska Common Ground, the event organizer along with ISER. 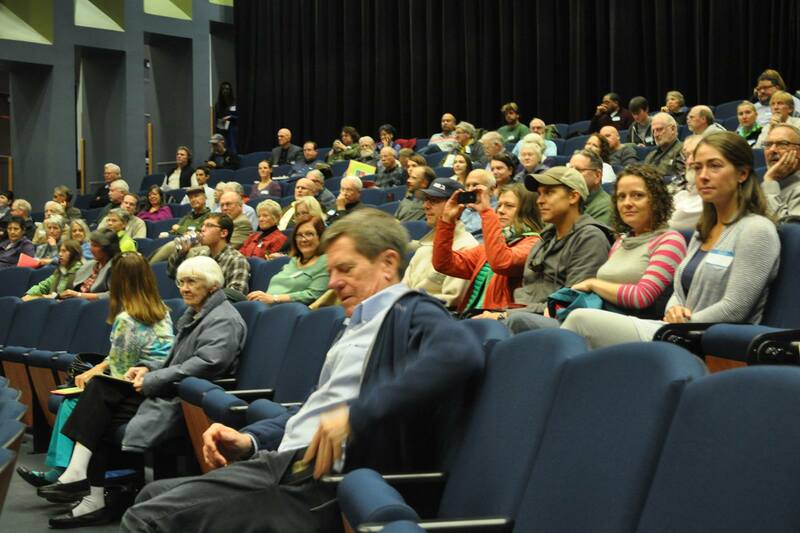 “I’ve moderated several of these forums over the years, and this is an attempt to be different and engage people at a time when the problems are so big they have to be addressed,” he said. As part of the event, a handful of volunteers will play the game on stage in a morning segment. 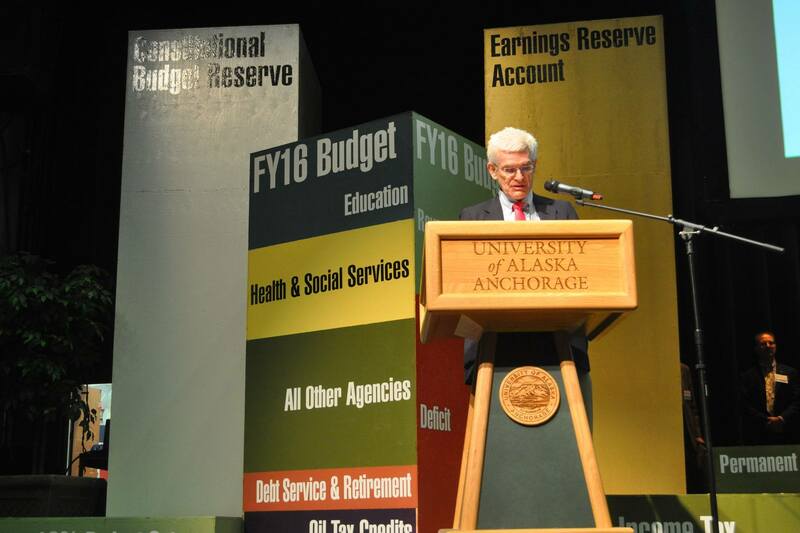 They’ll decide, for example, whether to remove blocks representing sectors like education and health care, or to add weight by instituting an individual income tax or tapping the reserves of the $51 billion Alaska Permanent Fund. The game will also be open to the general audience during an hour-long break at noon. Booing and cheering will be encouraged in an effort to highlight the political tension involved in each adjustment, said Knapp. The audience will vote to keep or retain the person who comes up with the approach they prefer, to underscore the dilemma faced by lawmakers. As the pile of blocks representing Alaska’s savings dwindles, it will soon be game over — “you will visually get that you can only play this game a few more times the way we’re playing it right now,” said Knapp. This spring, the Legislature will face the same questions for real, with an expected $7 billion in savings available to help balance the budget deficit. If trends continue, that deficit will be about $3 billion next year. With no sign of relief on the horizon, mainly in terms of high oil prices, experts fear the savings will be gone in less than three years. The game — built by Ian Laing, former special assistant to former Revenue Commissioner Pat Galvin — won’t be the only excitement. In a late-morning segment, four Alaskans will present their own fiscal plan on how to close five years of annual deficits. The audience in a straw poll will rank the proposals. 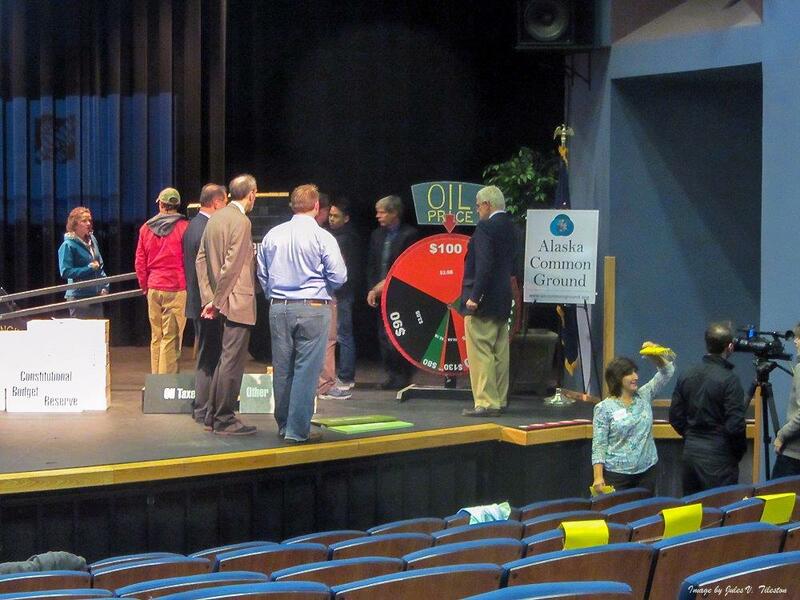 In the afternoon, that group — former state Attorney General John Havelock, consultant Brad Keithley, former Sen. Gary Wilken, and Liz Medicine Crow, president of First Alaskans Institute — will try to hammer out a compromise on stage. Also, facing off in a debate following lunch will be Bill Popp, president of Anchorage Economic Development Corp., and Mark Foster, chief financial officer of the Anchorage School District. Participating state officials will include John Coghill, Senate majority leader and a Republican from North Pole, Democratic Rep. David Guttenberg from Fairbanks, and Revenue Commissioner Randy Hoffbeck. Groh said the event will help the public understand there are no easy answers.